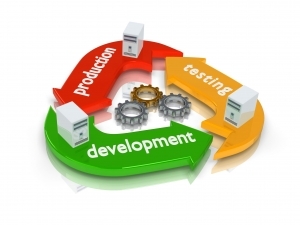 In the world of software testing, system testing is the testing of a complete and fully integrated software product. System testing of software or hardware is testing conducted on a complete, integrated system to evaluate the system’s compliance with its specified requirements. Usually software is only one element of a larger computer based system. Ultimately, software is interfaced with other software/hardware systems. System testing is actually a series of different tests whose sole purpose is to exercise the full computer based system. QALogic Testing Services (P) Ltd.